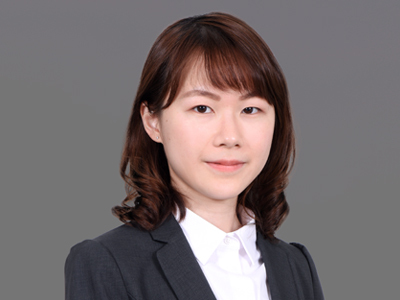 Eve Y. Tsai has a master’s degree in Commercial Law Studies from National Taiwan University, specializing in commercial law and competition law. She studied corporation law, financial law and financial market regulation in graduate school, and her research focused on the relationship between competition law and the high-tech industry, specifically issues arising from the applications and limitations of competition law on the dynamic and fast moving high-tech industry. Eve was a project assistant for Professor Ming-jye Huang of National Taiwan University Law School during her graduate studies. She participated in the “Establishment of the Commercial Legal Institution and Regulation Adjustments in Response to the Virtual World” project organized by the Ministry of Economic Affairs, studying issues related to the modernization of the company registration system. She has also participated in the Steering Committee of Company Act Reform, where she collaborated closely with commercial law scholars and officials from the Ministry of Economic Affairs to propose amendments for the Company Act of Taiwan. Eve joins Innovatus Law in May 2018. A Study on Horizontal Merger Control: Focusing on Innovation of High- tech Industries, National Taiwan University master thesis, February 2018.